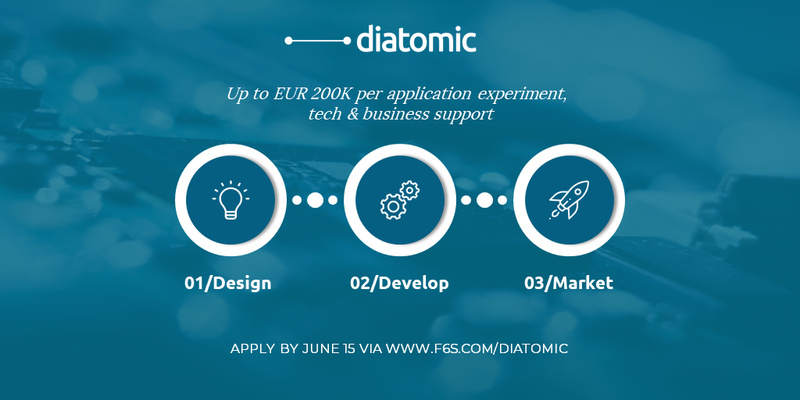 DIATOMIC offers up to €200.000 funding per project, including advanced technology testbeds, as well as tailored business support to fast-track design, development and prototyping of market-driven products and services. For Open Call documentation, visit diatomic.eu. To access matchmaking brokerage support, please refer to our helpdesk on F6S (www.f6s.com/diatomic).